When someone logs into my main site (VLDpersonals) they are also logged into the forum (Vanilla) as well. That is great news. I do have the issue with two profiles, but some users seem to enjoy a forum profile and a site profile. I was thinking of providing a link in each persons vanilla profile to their main site profile. But how? I know for example when I link a members name on VLDPersonals to his profile it looks like this. Since their member numbers are not the same how could I do this? It should automatically know which user it is since it checks if user is logged in to build the profile . To add another link to the profile , I would used profile extender plugin with a field for their other profile link. Sorry, I meant to say if you member "Jane" or "Guest" and want to go from lehmartin898 forum profile to his site profile, not your own. I would just like to hard code it in because members would never go to the trouble of adding it. Are the usernames the same between Vanilla and VLDPersonals? Thank you peregrine. This forced me to use a little brain power and figure out what to do with the code and upload the plug in. The only problem is the link itself from forum melindaspenpals.com/asian-dating/user to main site melindaspenpals.com/user needs tweaking. Sorry, I hope I explained it right. it should work, shouldn't it. based on what you sadi for links. I revised it try it again. Ok! So I got it to work with your revisions. 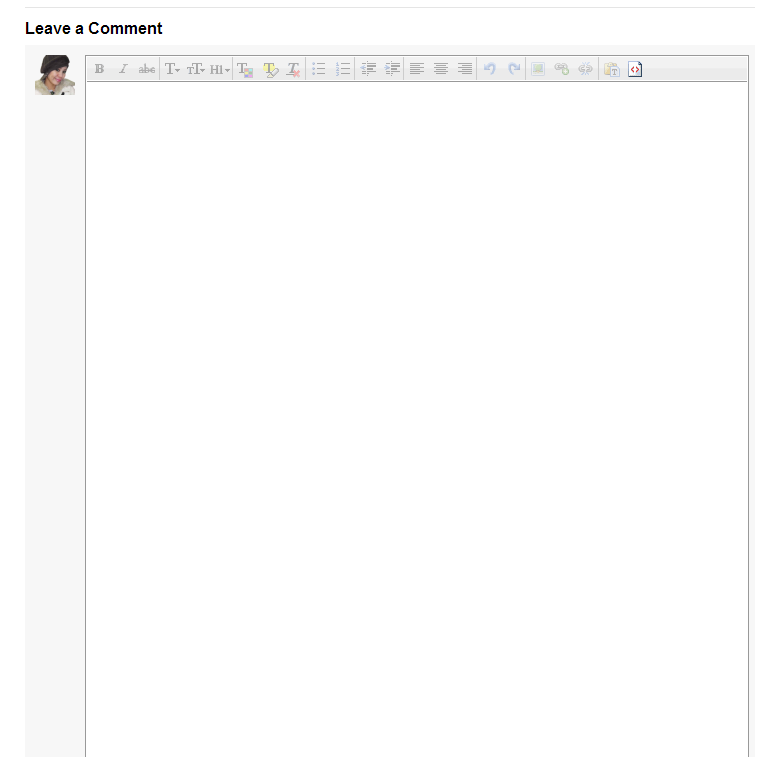 But then the WYSIWYG (CLEditor) comments box got really really long. So when I disabled the AddForumLink plugin the comments box went back to normal size. I have no idea why that would happen. needs a slash at the end. But then the WYSIWYG (CLEditor) comments box got really really long. 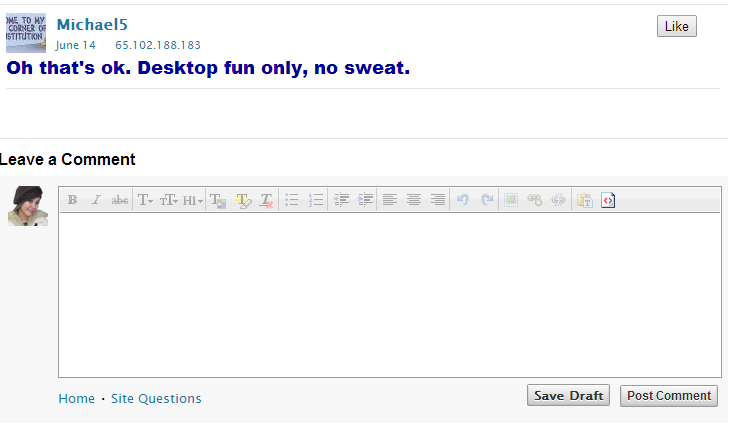 the plugin has no impact on WYSIWYG (CLEditor)) with the changes on my test forum, I don't see how it possibly could. @vrijvlinder, at least someone is clicking awesome. on the reactions. someday kozmosis66 and others will learn about the reactions feature. or asian date will show up at my doorstep. carrying a donation in lieu of an awesome. and he is getting some serious airplay posting his forum name on the site in all the discussions. Ok sorry, I did not even see these reaction features. I promise to thank you in a donation type of way, really! The first one is with it enabled second with it disabled. The box was so big I couldn't capture it all in the shot. Thanks I already figured out the trailing slash. Attached are the screens of it on and off same threads. Have you tried using the cleditor that comes with vanilla? Also is this happening in IE or across all . Autogrow must be disabled. You can do it with css by giving it a fixed height and make scrollbars show if the content gets too long. vrijvlinder, it was happening in both Chrome and IE. Sorry, I cannot find this custom.css file. I found other css files but not this one? I cannot find this custom.css file.